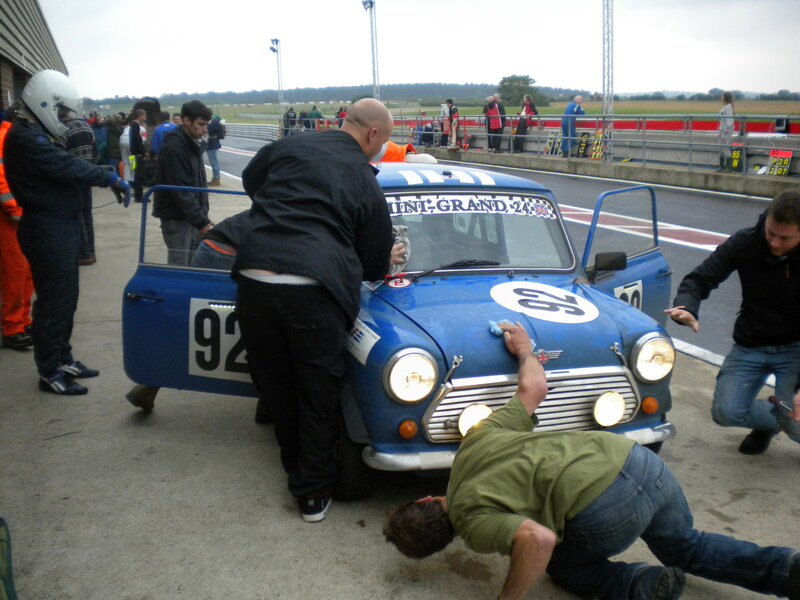 On August bank holiday ’12 Our team “Slarky Malarky” comprising of Ian Slark (Of ccrr and our Car builder), Neil Slark (Of SRE and our engine builder) Steven Miles (Accountant and our fuel strategist!) 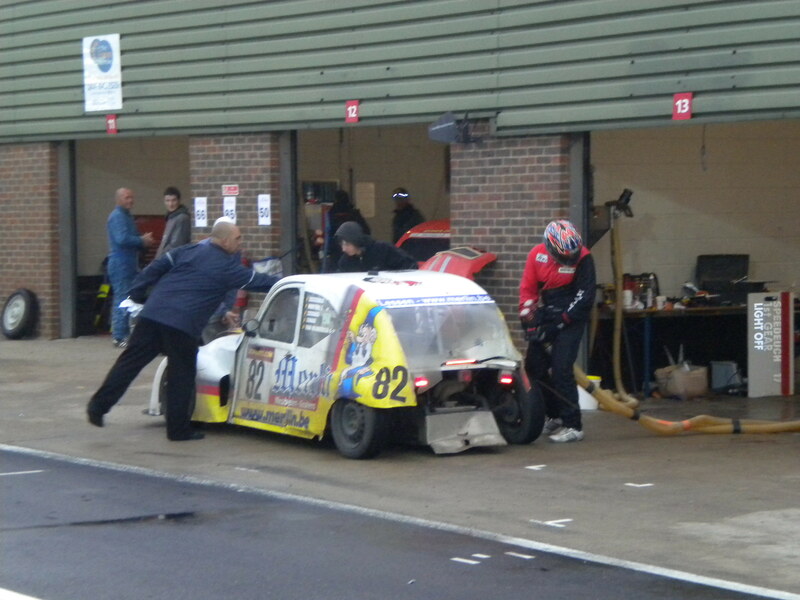 And Pete Tervet (Our laid back team member and gravel trap seeker!) 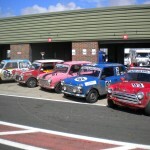 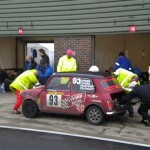 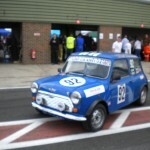 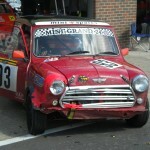 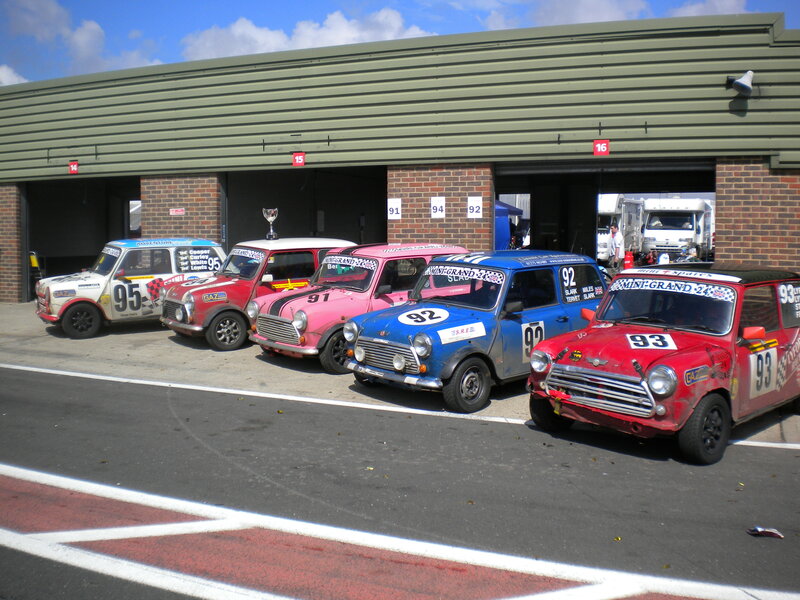 all competed in a 1000cc classic mini against four other minis in the inaugral 24hr Mini race. 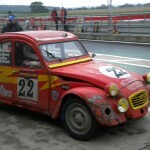 During the 24hrs we encountered Thunderstorms, sunshine, and enough circuit flooding at 3am to suspend the race for 2hrs! 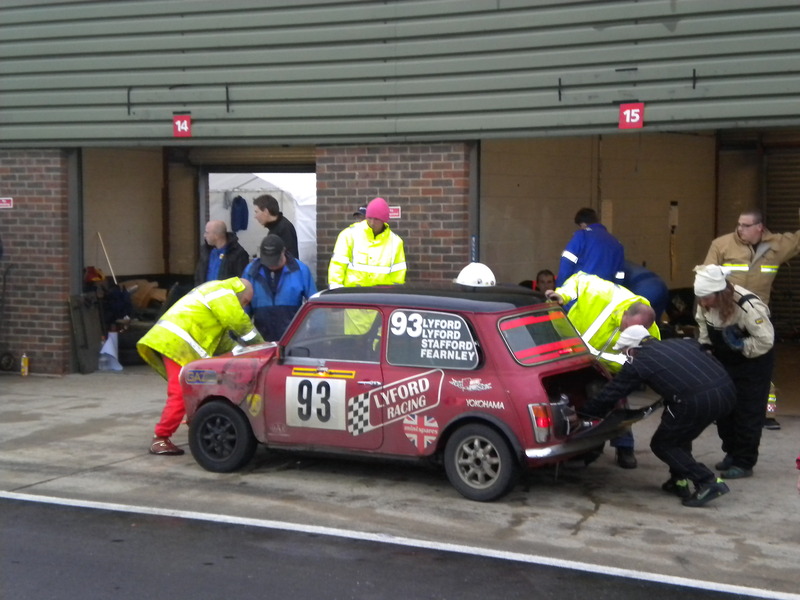 We had a few mechanical problems such as a fuel pump failure, a headlight switch failure and a catastrophic failure of a suspension tie-bar which nearly spelled disaster for the team. 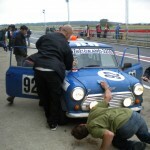 Neil who hit the brakes hard at the end of a straight at about 80mph lost all steering but after fortunately avoiding contact with anyone or anything managed to limp the car back to the pits for repair and a change of Pants for himself! 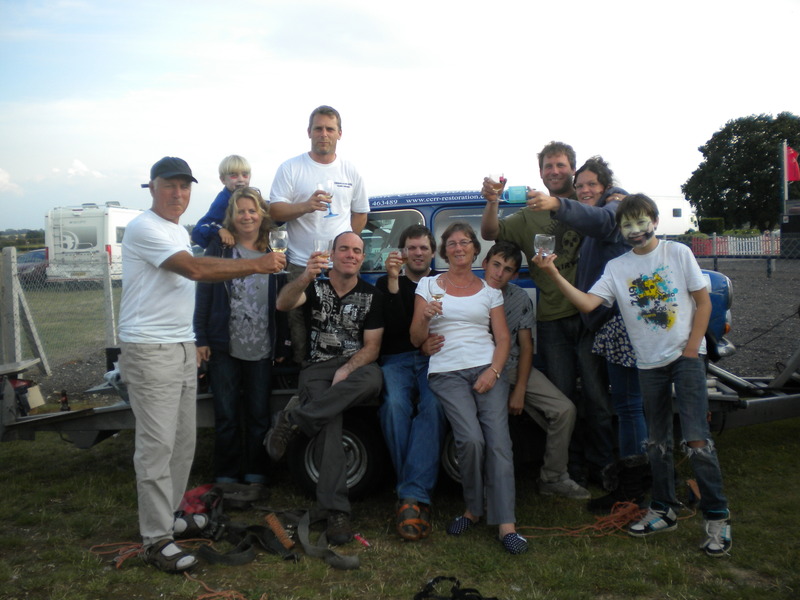 There was also a couple of off road excursions by Pete and Steve, mainly caused by the extreme weather, but no major damaged caused. 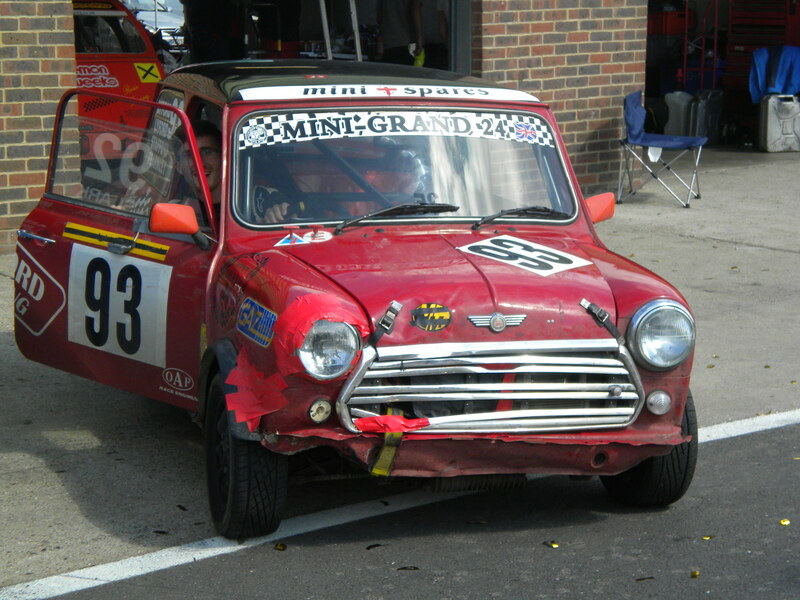 The last hour was a tense one because if you break down on the circuit there is no recovery and your race is finished. 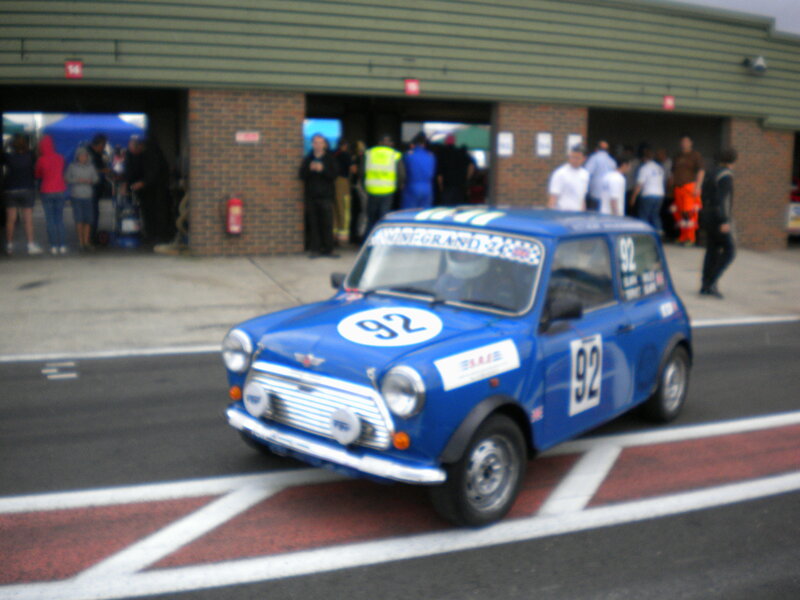 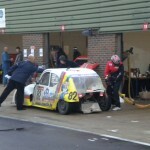 However the car perfomed beautifully and we finished 6th overall out of 39 cars and the 3rd Mini. 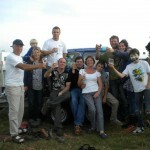 Our thanks go to our team without whom we couldn’t have done it! 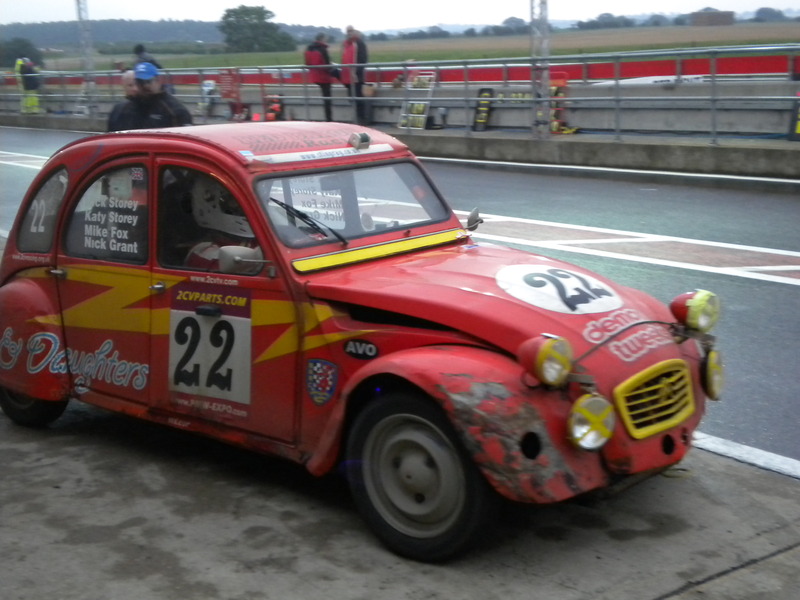 Also thanks to the 2CV racing club for inviting us to join them and we sincerely hope we can join you again in the future for this amazing event!